There are many aspects of Bay Haven Inn of Cape Charles that we can’t wait for you to experience. We look forward to you tasting our breakfasts, resting your heads in our comfy beds, and venturing out to our welcoming bayside town. We especially love sharing our gardens with you, and if you’d like to learn more about our B&B greenery, then keep reading!I am a Master Gardener, which I earned while living in Prince William County, so as you can imagine, I’m pretty fond of plants! I love spending my time gardening at both the Bay Haven gardens and the New Roots Youth Center garden, where I teach youth to grow vegetables from seed to farm stand. 1. Our back courtyard gardens grow 27 varieties of heirloom tomatoes and peppers from seed. This delicious produce eventually ends up on your breakfast table at our B&B! 2. 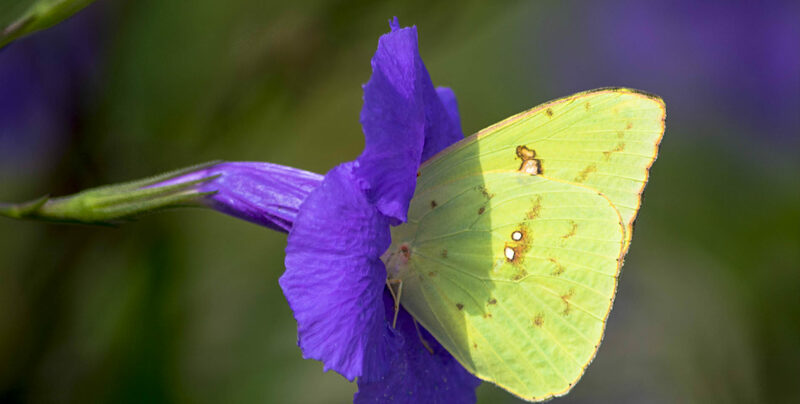 Our Mexican petunias bloom daily with purple petals that attract both butterflies and hummingbirds. These beautiful flowers line the path of the inn, making a lovely display to welcome you to Bay Haven. 3. Want to surprise your sweetheart with a special surprise when you walk into your room? We have a cut flower garden that supplies the fresh bouquets for our Flowers in Your Room special. 3. We put in a brand new lily bed put in last year and it’s coming in strong and beautiful! You’ll have the opportunity to see these lilies on our dining room table. 4. “Etsy” the Palm Tree waits to welcome you to “Paradise Island,” where it’s five o’clock whenever you choose. Etsy rests on a shell-lined bed with branches shading two Adirondack chairs that are just waiting for you to lounge in their comfort. 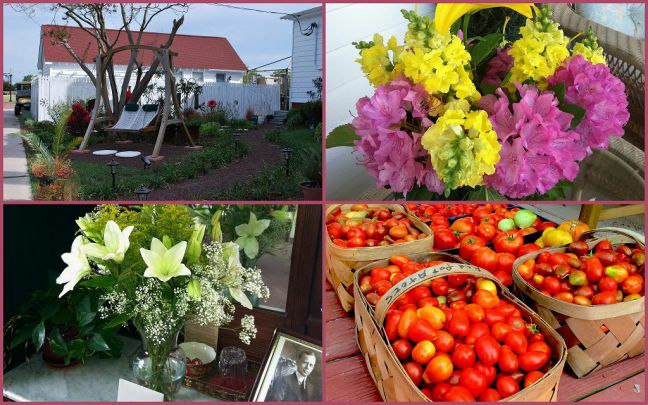 Click here to learn more about a garden experience at Bay Haven Inn of Cape Charles. We look forward to seeing you soon!